Currently, automation and robotics provides a big advantage to mass manufacturers. Automation adoption is increasing among small businesses to scale, to fill skills gap and adapt to component variety. The standard solutions need to be tailored to each customer’s needs. The differentiation of automation solutions occur at the process levels. 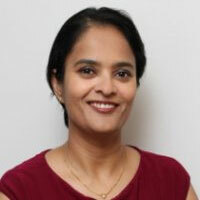 “Automation should be modularized to make it easy to adapt, affordable and expandable for small scale manufacturers,” says Arthi Sairaman, CEO, MTAB USA. The age of data and connectivity is playing a bigger role on how people imagine and interact with robotics and automation. Virtual simulations, remote monitoring and diagnostics are the cutting edge features, increasingly used to envision and implement 24x7 lights-out manufacturing. “Our suppliers build modular products allowing us to mix and match components to give the most effective solution to customers,” says Arthi. This building block approach is supported by the suppliers and hence enables development of customer specific solutions. Headquartered in Bellevue, WA, MTAB USA provides solutions in Robotics, Computer Integrated Manufacturing, Mechatronics and complementary software. “Apart from our hardware lines, we use simulation packages from several global manufacturers. The simulation packages, such as M-Robot, TopTurn & TopMill, WorkSpace, give users an important tool to explore design, process, control of automation and production that they want to implement,” says Arthi. Amongst school kids, the simulation software provides a safe and engaging environment and in the vocational technical area, the trainees learn skills that they can apply towards apprenticeships and jobs. MTAB USA’s portfolio of compact footprint machines can address 80-90 percent of most production requirements for their customer base and are designed with automation in mind. The small footprint machines such as Compact Turn, Compact Mill and Chronomill are designed to lower total cost of ownership, operations and maintenance cost and space requirements for the customer, such as an expanding shop trying to find space to add another machine. Delivering targeted solution to clients is one of their core value propositions and MTAB USA does so with the right partner suppliers. This process involves understanding and designing innovative products for customer specific environments. For instance, a customer was looking to put together a program for automated logistics and material handling. After considering a few options, the customer approached MTAB USA for an Automated Storage and Retrieval System. “We got the customer talking about their vision and outcomes from their ideal system. Together we designed an ideal solution using the portfolio of products available to create an automated warehouse solution for the customer including automatic guided vehicle, ASRS, vision system and RFID technologies, with ability to add future modules,” says Arthi. Going forward, MTAB USA plans to increase focus on automation skill development and explore areas of manufacturing such as medical, dental, and jewelry. The company is bringing solutions which will work in different verticals. Chronomill, a versatile horizontal machining center, is a good example, which can be used in medical, dental, jewelry and aerospace component manufacturing. Provides simulation solutions in the areas of skill development and special machine solution.